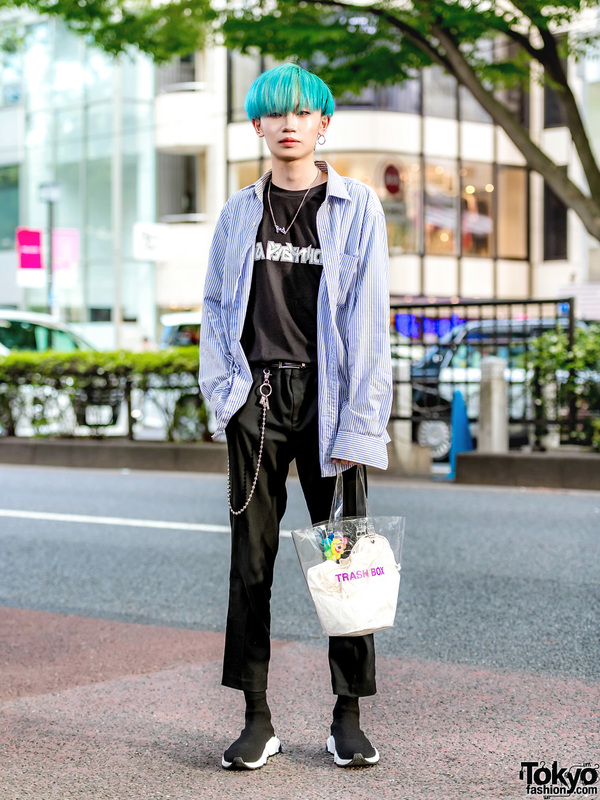 Aqua-haired Harajuku teen sporting a modern menswear look while out and about in Harajuku. Japanese student wearing a vintage floral jacket and a floral necktie in Harajuku. Tokyo Bopper staff sporting a colorful casual style with lingerie as outerwear. 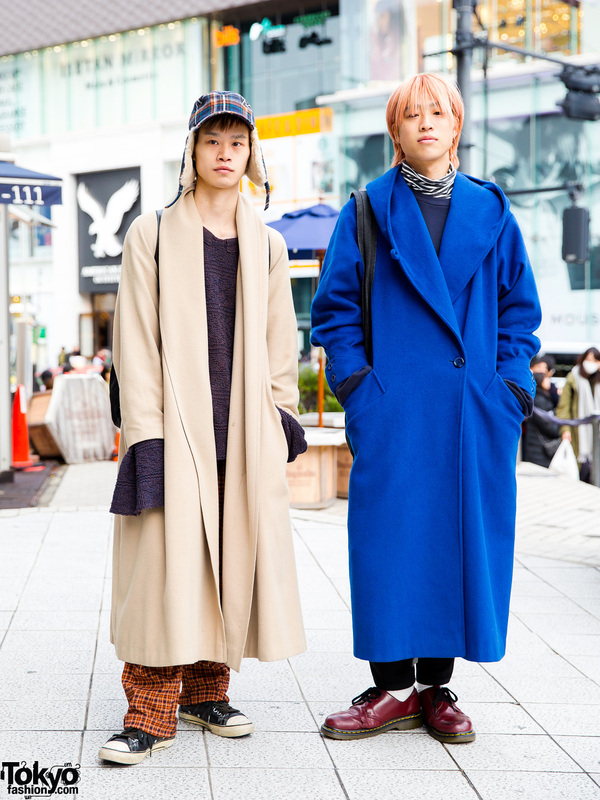 Japanese hair stylists sporting casual street styles while out and about on the Harajuku street. 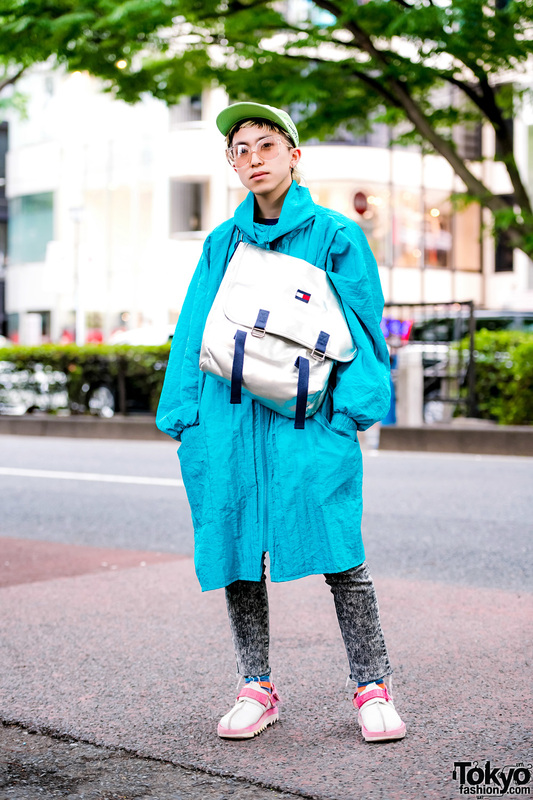 Harajuku hair stylist wearing a long aqua jacket, acid wash jeans, pink-and-white clogs and a metallic silver crossbody bag. 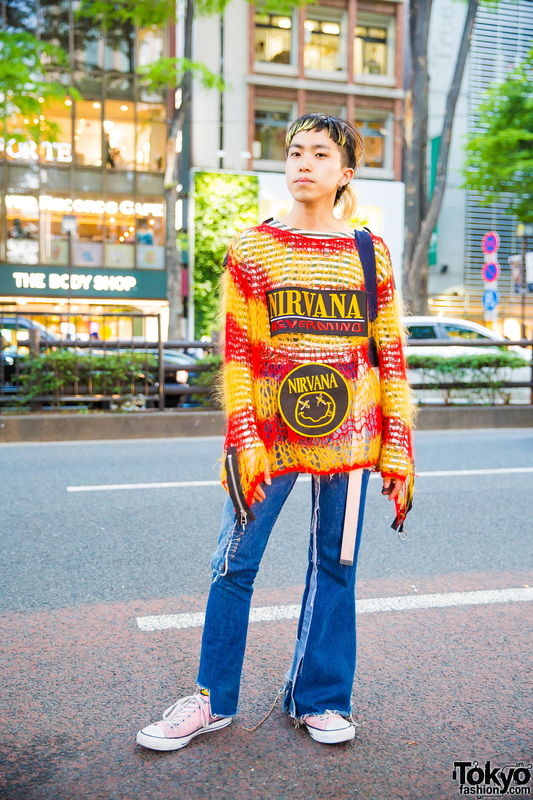 Harajuku hair stylist wearing a loose knit sweater, striped shirt, distressed jeans and a metallic backpack. A beauty school student sporting a neon green bob and all black outfit while out on the Harajuku street one evening. 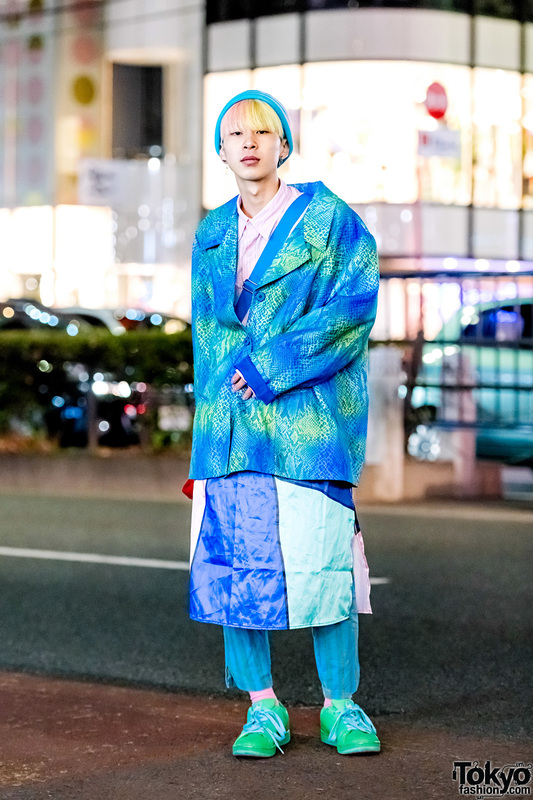 Japanese musician showcasing designer street fashion in Harajuku. Harajuku guy showcasing color-coordinated street fashion. 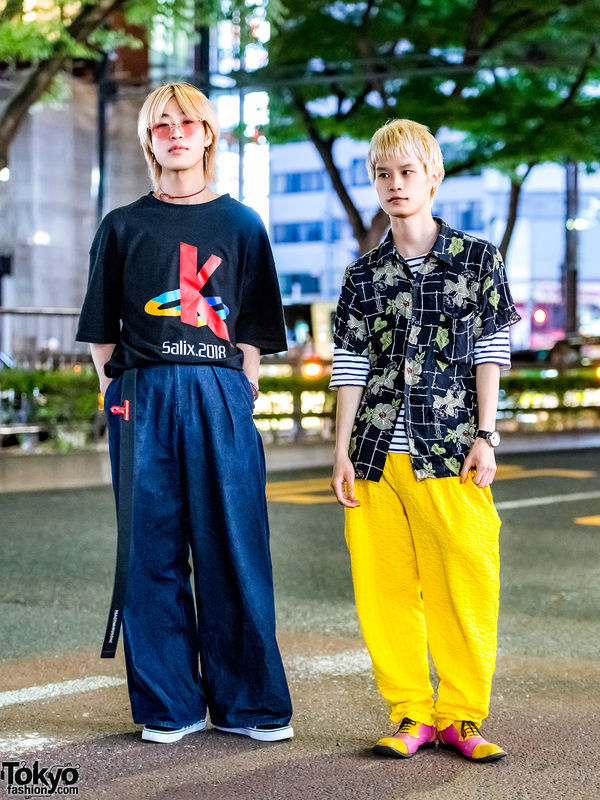 Hair stylists showcasing vintage streetwear in Harajuku.